Time for another PPA Sketch Challenge and Margaret Moody has created another fabulous sketch this month! I chose Whisper White & Basic Gray...non traditional Christmas colors. 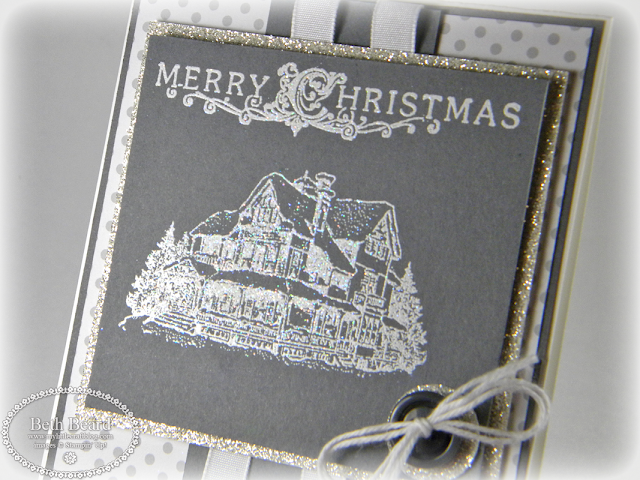 I stamped the image and sentiment, from the Christmas Lodge stamp set in VersaMark, then heat embossed with White Stampin' Emboss Powder. While it was still hot, I covered it in Dazzling Diamonds Stampin' Glitter for a little sparkle. Only 2 weeks remaining for this month's Christmas Gift with purchase promotion. Love this card, Beth! So elegant! These may be non-traditional colors but this is a gorgeous Christmas card! 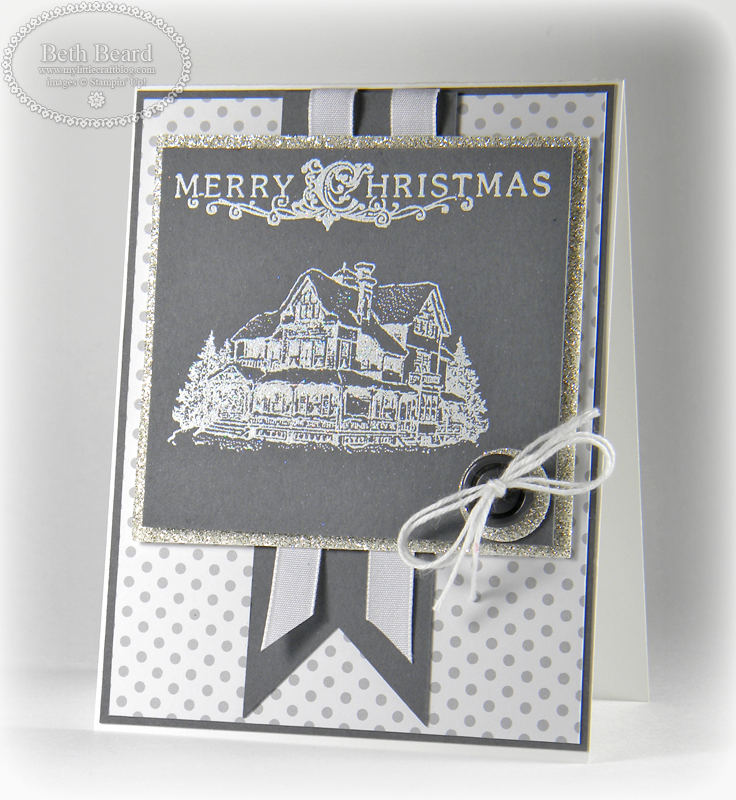 I love the ribbon on your banner and the touch of Glimmer Paper to set off the stamped image! Just beautiful! Your choice of these totally non-traditional colors give your card a lovely and old fashioned appearance. Beautiful - elegant and sparkly - perfect for Christmas!